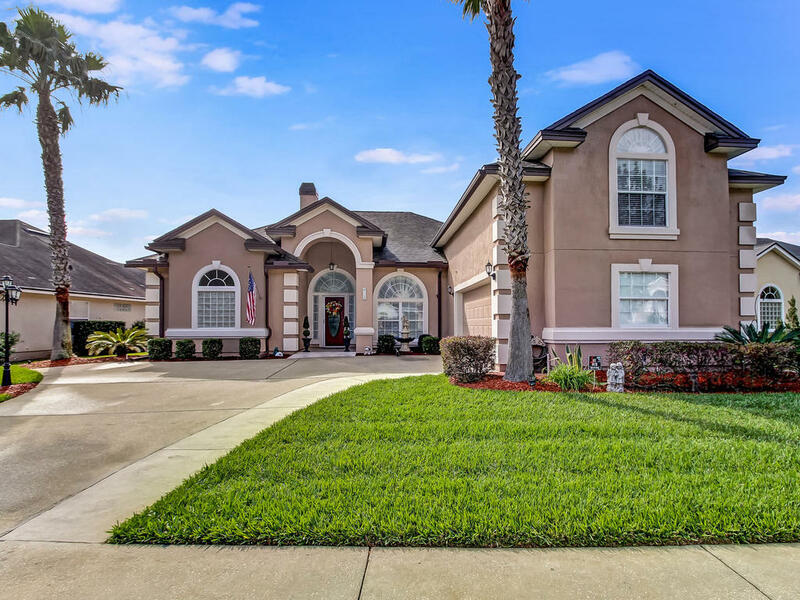 Picture Perfect Home in Desirable South Chase Community! This meticulously maintained home boasts 4 bedrooms, 2 baths downstairs and a bonus room upstairs with a full bath. Kitchen features granite counters, 42” cabinets, stainless appliances and opens to family room. Spacious family room with tiled fireplace and decorative mantle, surrounded by built in shelving. Relax on your generous sized screened lanai, overlooking the serene view of the lagoon and oasis style backyard. So many upgrades; crown molding, tile and wood flooring, 10 ft. ceilings, recessed lighting and so much more! Access the extra climate controlled storage room through the upstairs bathroom. This home is a must see, make your appointment today!